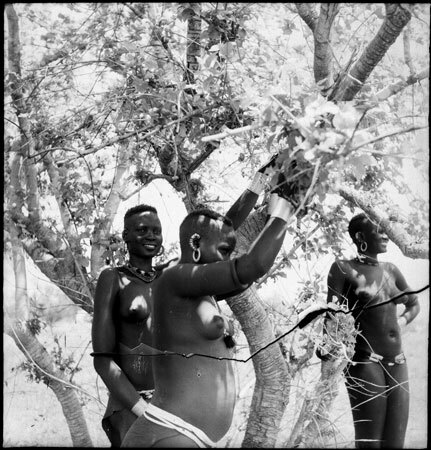 Three young Dinka women together under a tree, wearing bead strings, coiled metal bracelets, skin aprons, as well as ear ornaments. Morton, Chris. "Dinka women under tree" Southern Sudan Project (in development). 03 Jan. 2006. Pitt Rivers Museum. <http://southernsudan.prm.ox.ac.uk/details/2005.51.11.1/>.